The Chattahoochee County School District has strategically planned for improvements in student learning. The district has intentionally focused on the basics of students’ learning needs and teachers’ and leader’s professional learning needs as they relate to meeting the expectations of the Georgia Standards of Excellence. The district has created structures and processes for identifying, creating, implementing and monitoring effective instructional practices that are on a continuous improvement cycle. Teaching and learning has gained momentum in the Chattahoochee County Schools. Chattahoochee County School District is proud of our improvements. This growth is indicative of the hard work and determination of our students, faculty, staff, parents, and community members. We are proud of the direction we are headed towards and we will continue to strive to improve outcomes for our students that ensure college and career readiness. 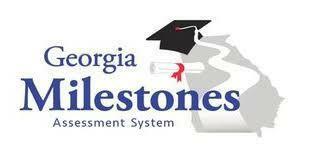 The following chart shows Chattahoochee County School District’s status on the Georgia Milestones Assessment for 2018-2019, from the district, RESA, and state perspective.